Events | Webinars, courses, technical trainings and more. Sign up here! Access a lot of seminars, courses, technical training, webinars and other exciting and educational events through Liga. It’s often free to join and you can easily sign up online. In the overview you will find both current events as well as previous events. Both the events organized by Liga and the events that Liga participates in. 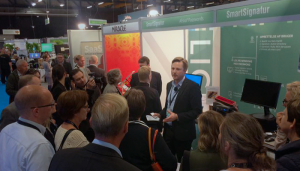 Liga participates in the annual recurring Danish trade shows and conferences such as Offentig Digitalisering, Infosecurity and Digitaliseringsmessen, but also arranges a series of events including free webinars, courses and intensive training courses. These are often done in collaboration with software producers and will typically be in English. If you would like to know more about the upcoming events, please feel free to contact us. 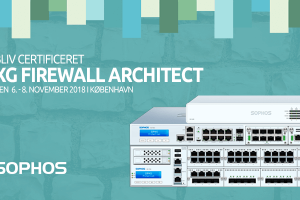 Become a certified Sophos XG Firewall Architect. The course is for you who work with network and IT security and who is a certified XG Firewall Engineer. Liga offers the course in collaboration with Sophos. Alexander Hägglund, Sales Engineer at Sophos, is the instructor both days. Easy and secure mobile working for your employees! 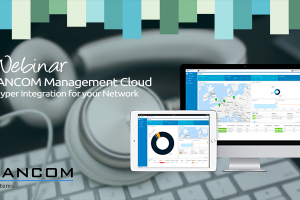 SecurePIM Office enables employees to access business-critical emails, calendars, documents, and more on the go using smartphones and tablets. All the company’s data is highly encrypted and placed in the secure Container on any mobile device. With SecurePIM mobile working will be in line with the important principles underlying the EU General Data Protection Regulation. End even better, SecurePIM is easy to and to manage. Would you like to get invited by e-mail? Sign up for our newsletter and we will keep you updated on upcoming events! Deep dive into Central and all the new features, tips and tricks and best practices on how to integrate synchronized security in your organization. 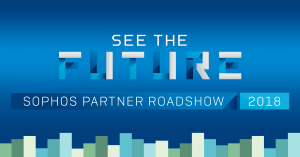 Come and see the future of Cybersecurity at our Sophos Partner Roadshow 2018! Meet our international & local experts and learn how you can protect your customers best and grow your own business with Sophos Next-Gen Cybersecurity solutions. Today, the cloud is the obvious choice when it comes to storing data and files. And today’s employees need – and expect – to easily access documents from all the devices they work on. But it also means that if the company does not provide a secure solution to them, there is a high risk that employees will start using private, unauthorized solutions. 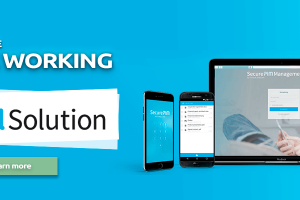 Find out how Sophos is extending the Synchronized Security concept to the wireless network to protect and secure your endpoints and mobile devices. Become a certified Sophos XG Firewall Engineer. Janne Timisjärvi, System Engineer at Sophos, is the instructor. The training takes place in Copenhagen, Denmark. De stadigt stigende krav til storage er en konstant udfordring for mange organisationer. Med SUSE Enterprise Storage er det muligt at etablere en ekstrem hurtig, redundant og skalerbar storageløsning – til en væsentlig lavere pris. Det kan lade sig gøre ved at anvende standardservere og diske. 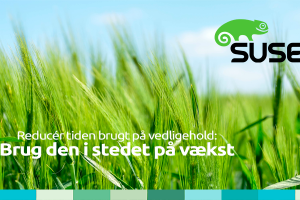 Både opgradering og tilføjelse af yderligere storage kan automatiseres og placeres i standardiserede processer. This product-independent webinar will help you understand the possible attacks on mobiles and what countermeasures you can use to mitigate them. Are you worried about what the next big malware threat to your organisation will be? How much security is enough? Does securing your end users’ mobile devices leave you frustrated? Are you still not comfortable with GDPR compliance? Normalt er brugervenlighed og sikkerhed to ting, der trækker i hver sin retning. 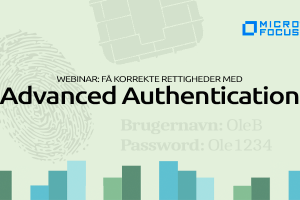 Men på dette webinar kan du se, hvordan du kan gøre digitale identiteter – og dermed logon-oplevelser og brugerstyring – på en gang enklere og sikrere for både brugerne og IT-afdelingen. 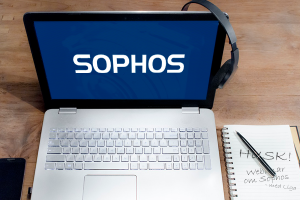 Hver 14. dag er der mulighed for at deltage i webinar, der kun handler om Sophos. Alle interesserede er velkomne og det er naturligvis gratis at deltage. Alexander Hägglund fra Sophos er mødeleder på webinarerne, og svarer på spørgsmål, der relaterer sig til nyheder, teknik, produkter mv. Alle spørgsmål er velkomne og alle kan deltage i webinaret. 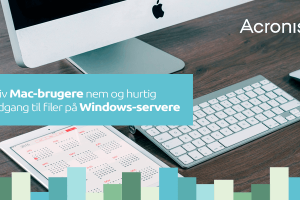 Din Mac-enhed kan godt forbinde med din Windows-server og NAS – men det er ikke altid uden problemer. Låste eller ødelagte filer, en sløv forbindelse og søgninger, der tager unødig lang tid er typisk noget af det, som Mac-brugere må bøvle med, når filerne tilgås via en Windows-server. Heldigvis kan det ret enkelt løses og du kan høre hvordan, i webinaret om Acronis Files Connect. Only with extensive knowledge and expertise can you overcome the challenges in the IT industry and be a trusted advisor for your customers. 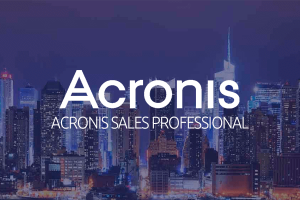 When you join our Acronis Sales Professional webinar you’ll find out how to best place, sell, and integrate Acronis solutions. 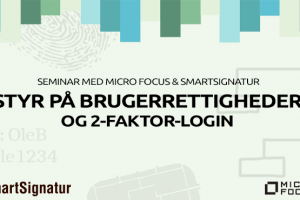 På dette seminar kan du få et grundigt indblik i både Micro Focus Identity Governance og Micro Focus Advanced Authentication og hvordan du anvender disse i dagligdagen. Endvidere vil du lære, hvordan to-faktor-login implementeres og styres. Det er et seminar, hvor vi går i dybden, og du får konkrete indsigter og kundskaber, du kan anvende i hverdagen. Netværk i dag har udviklet sig til at være spredt ud over mange lokationer og en blanding af cloud og on-premise løsninger. Det er komplekst at administrere – og kompleksiteten stiger. Men software-defined netværksteknologi kan gøre det meget enklere at administrere netværk ved at lade dig styre hele netværket fra browseren. Password er ikke længere sikkert nok – hvad gør du i stedet? Det er helt enkelt for nemt for hackere at opsnappe dine brugeres brugernavne og password og udgive sig for at være en af dine medarbejdere. Password bør derfor suppleres af en anden faktor – tofaktorlogin. Denne anden faktor kan være noget du er født med, som f.eks. fingeraftryk eller din iris, som skannes – eller noget du har med dig – som din mobiltelefon, et smartcard mv. Microsoft har taget et kæmpe skridt ind i Linux-verdenen med SQL Server til Linux. 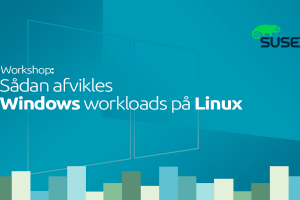 Se hvordan du kan afvikle Windows workloads på Linux – og Linux workloads i Microsoft Azure. Det er gratis at deltage i workshoppen, dog er der begrænsede antal pladser – max 10 deltagere. 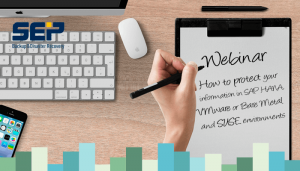 Do not miss this webinar on how to protect your information in SAP HANA, VMware or Bare Metal and SUSE environments and how to keep your business critical data available. 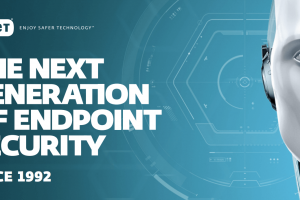 Tired of heavy and complicated endpoint security products? The performance of your computer fleet is not impaired thanks to our solution’s fast scanning speed. 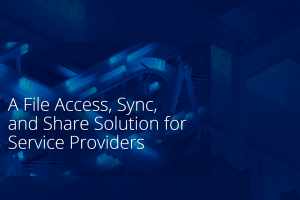 With Synchronized Security integrated products share security information and respond to attacks automatically, coordinating defense efforts across your entire system. And the single platform for managing all your IT security solutions will save your time and efforts tremendously. 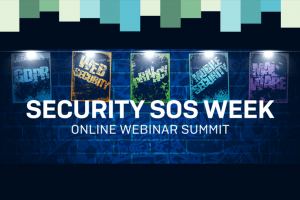 Join us for this engaging webinar to learn more about this new approach to IT security. 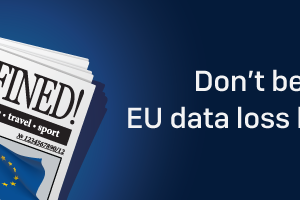 Everyone is talking about the new EU General Data Protection Regulation – but what are companies actually in for? And how can you make sure you will fulfill all the requirements by the cut-off date, 25 May 2018 to minimize the risk of a GDPR fine? Wouldn’t it be great if you could manage your IT security solutions from a single, intuitive interface? All without jumping from console to console, managing products and making sure they all play well together? 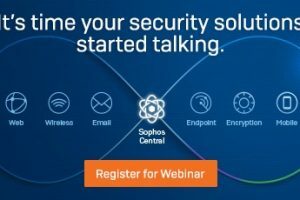 Register now for our webinar and find out how you can manage your endpoints, servers, mobile devices, wired and wireless networks with Sophos Central. The performance of your computer fleet is not impaired thanks to our solution’s fast scanning speed. Together with its small system footprint, it lets you use your hardware for longer, helps you save on maintenance costs, and minimizes interruptions for end users. 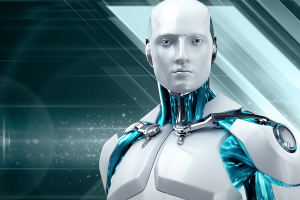 Sign up for a one-day technical training that will teach you how to install, configure and administrate the ESET Business solution across all platforms including mobile. Acronis Disaster Recovery Cloud gives you a fantastic opportunity to upsell to your existing backup customer base. 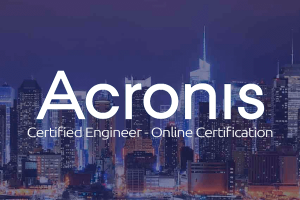 The new solution is built on top of Acronis Backup Cloud so you can earn more by providing all-in-one backup, disaster recovery, and anti-ransomware protection – all from a single interface with just a few clicks. Join us for a webinar that will assist you in growing your disaster recovery business. The area of machine learning is currently one of the main topics in IT security. Through deep learning users now get artificial intelligence simply and cost-effectively and thus can significantly strengthen their company’s security. 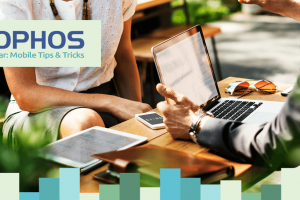 In this webinar, Sophos experts explains how all of this is implemented in one central user interface. Sophos XG Firewall gives you everything you need to secure your network against advanced threats like ransomware, bots, worms, hacks, breaches and Advanced Persistent Threats (APTs). Join this webinar to learn more about how Sophos XG Firewall can transform your network security and performance.